Back on Feb. 4, 2000, American Airlines announced that it would begin removing two rows of coach seats from its fleet in a move to give passengers more room on its flights. In implementing its $70 million “More Room” product, the Fort Worth, Texas-based carrier removed more than 7,000 seats from its fleet, giving passengers a generous 34 inches of pitch. Jump to 17 years later, when American Airlines has been roundly panned for cutting seat pitch on its Boeing 737MAX jets from 31 inches to between 29 and inches. If you’ve traveled in the past few years, you may think that seats are getting smaller and there’s less legroom—and you would be correct. As airlines have worked to squeeze out more profits as airfares remain stagnant, one way to do that is installing more seats on their fleet. And in order to squeeze in those seats, they are cutting back not only on the width, but also pitch—the distance between a row of seats—and legroom. It’s gotten so bad that the group FlyersRights.org sued the Federal Aviation Administration to review seat sizes and legroom on commercial airlines after the agency refused. A three-judge panel of the D.C. 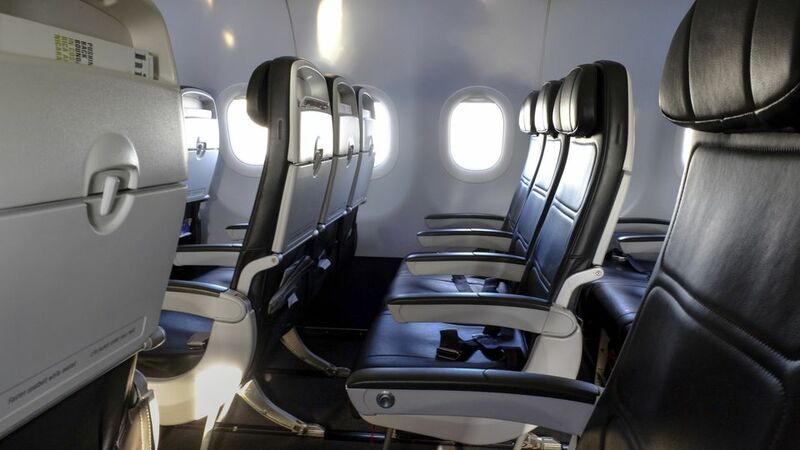 Circuit Court of Appeals ruled against the FAA and ordered it to review seat size and legroom on the airlines in the case of Flyers Rights vs. FAA. Flyers Rights pushed for the FAA review, claiming that shrinking airline seats are a safety hazard that can cause conditions like deep vein thrombosis, which can cause fatal blood clots in the legs of passengers. Flyers Rights presented evidence showing that average seat widths have dropped, driven by airlines adding extra seat rows in the past 10 years. "As many have no doubt noticed, aircraft seats and the spacing between them have been getting smaller and smaller, while American passengers have been growing in size," wrote Judge Patricia Millet in the ruling. Average pitch "has decreased from an average of 35 inches to 31 inches, and in some airplanes has fallen as low as 28 inches." So which global carriers have the worst seat pitch and seat width? The list is broken down between the top 10 short-haul and long-haul economy class, below. The numbers are courtesy of SeatGuru.com.